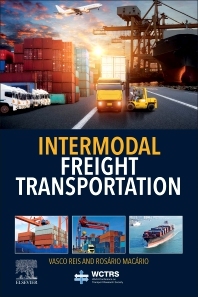 Intermodal Freight Transportation conceptualizes intermodal transport as a set of physical, logical, financial and contractual flows, examining the barriers that impact intermodal freight services and the resulting performance variables. The book covers transport modes, agents, supply and demand patterns, key drivers, trends influencing the freight transportation sector, the evolution of supply and logistics chains, and the impacts of technological advancements, such as autonomous vehicles and e-commerce. In addition, the book covers transport agents, such as shippers, freight forwarders, integrators, and customs, as well as the demand for freight transport services and the key properties of goods. Readers will find a variety of new tools for analyzing and building effective transport chains that addresses component technology, information, responsibility, and financing dimension, along with sections on key organizational, regulatory, infrastructure and technological barriers. The book concludes with a look into the future of the freight transport sector. Vasco Reis is Research Fellow and Lecturer at the Instituto Superior Técnico of the University of Lisbon. He teaches Freight Transport and Logistics as well as Transport Planning and Operations. He is member of the Freight and Logistics Committee of the European Transport Conference, as well as member of Transport Research Board’s Intermodal Transfer Facilities Committee and Intermodal Freight Transport Committee. He is an Editorial Board Member of Elsevier’s Case Studies on Transport Policy and a reviewer for several Elsevier journals, including Transportation Research: Part A and Transportation Research: Part E.
Rosário Macário is a Transportation Professor and Researcher at the University of Lisbon, as well as Vice President of the Institute for Research and Innovation in Engineering for Sustainability, Coordinator of the Center for Urban and Regional Systems, and Director of the Master in Transport Planning and Operations. She is Editor-in-Chief of Elsevier’s Case Studies on Transport Policy, Chair of International Relations for the World Conference on Transportation Research Society, co-founder of the Panamerican Society for Research in Transportation, and Council Member of the European Association of Transport.